Beautiful, clear and compelling visual information on your property is vital to finding your best Buyer quickly. That visual must also be complete with detailed written information about every feature your property may claim. The #1 MOST IMPORTANT item in your property’s marketing package. Every agent will put your listing in MLS. Will they do it correctly, however? There are so many details and nuances to making sure that listing page creates the intense interest your property deserves. Don’t believe me? You know that the ‘big box’ sites (Zill/Trul/Real, etc) all pull information from the official MLS listing. They don’t do it well, and if something is missing, or wrong, or limited, your listing suffers on those ‘big box’ sites next to another properly done listing. Take a look at the examples to the right(or blue framed pic above), and you’ll see what I mean. MLS is THE basis of all good listings on the internet. I cross all the t’s and dot all the i’s and then some. You need a set of eyes that isn’t accustomed to how your home is decorated and furniture placed. We must get your home to flow well, and look fantastic. Buyers usually cannot see well past clutter and poor layout. Let’s fix that before the Buyer sees it. A thorough staging effort can be the reason a property sells quickly, and in many cases for over the asking price. A staged home will show better than its competitive properties. Staging should help potential buyers see how a property will fit their lifestyle. It’s important to trust your real estate agent, who knows the value of not being penny wise and pound foolish. Taking the time and effort to stage will pay off! Every property has a flyer created for it, describing every feature. These are placed inside listed homes, in Info Boxes on the curb, and electronically on the MLS & to send or post anywhere online. I want Buyers to only ask one question: When may we move in? 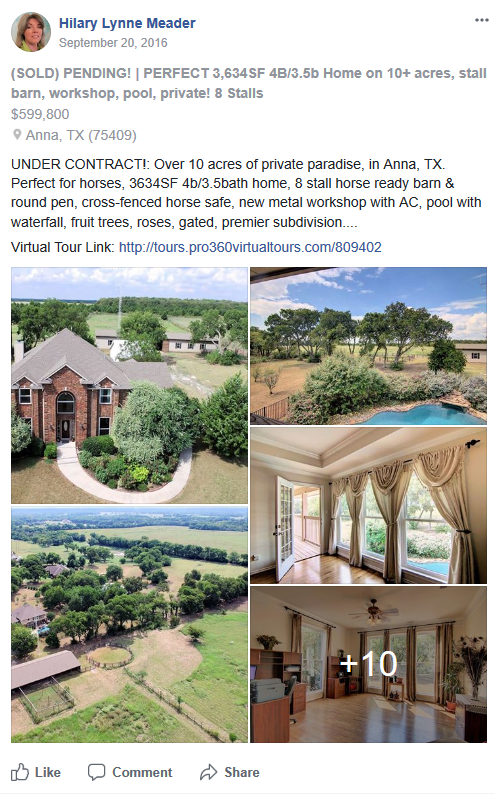 Virtual Tours come in a couple ‘flavors’: A revolving photo gallery, often embellished with the “Ken Burns Effect” which scrolls and zooms the photos as if they are moving; then a more upscale version which has music & pertinent information about the listing attached. Next there are Video and/or Drone Tours. Both of these can be very useful on properties that may take longer to sell (i.e. Farm-Ranch, Luxury, Unique). Not to mention now we have 3D rendered floor plans and video walkthroughs of homes. Fabulous! All my listings get an “Upscale” version of virtual tour. We can discuss the other options base on how we decide your home will sell in the market, or how unique your property is. We want everything about it to shine. Each property will have a special page created for all the details, photos, Virtual Tour links, MLS data, and other pertinent information. Yes, alot of these details are found on the ‘big box sites’. I make sure MY page is completely populated with everything a Buyer wants to know. These pages are used in online ads and other marketing efforts. 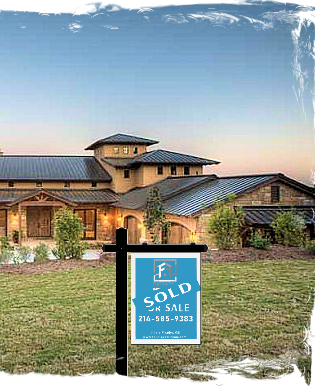 Since I have control of what is seen here, I can be sure that the correct information is presented to your Buyers. I can use a link to this page just about anywhere to market your property. Social Media; I don’t need to say much about this, right? It IS important, but most often your Buyer is already looking seriously, not floating about on chat sites thinking about suddenly spending $300,000 on a property. This is serious business. Yes, a Buyer Agent might see a property either on Social Media or in what is termed a “property blast” email. More often than not, the agent has already seen your listing come up in their Buyers’ search. The jury is still out on how much impact these avenues really have in getting your home sold. They are more to advertise the agent themselves than your property. I still use these, but I understand they are not the cake, just some icing, or maybe a frosting flower on the side. Newsletters are another way to introduce a new listing to folks who are subscribed to my newsletter, or receive it in other ways. I like to include market reports, even though over the span of a month, the market can fluctuate one way or the other. These are informative, a bit of fun, but not always effective to market with. However, I do reach the folks that follow me this way. Generally, your Buyer will be someone we have not yet met. These fine folks were a joy to work with. I hope we can work together so that I may help you the right way, as I did these and other clients in the Buying and Selling of your most expensive and most needed asset – your home. Do it right the first time, sell it fast for the most return. Let's chat about your wishes. I will reach out to you within 24 hours!